Los Angeles: Russian whistleblower Grigory Rodchenkov, who helped orchestrate the country's state-sponsored Olympic doping programme, says he fled his homeland because he feared for his life and his family's safety. "Two days before I fled, a friend within the government warned me that Russia was planning my 'suicide'. I thought that my family might be safer with me gone and, if I were to die, at least I would get to tell the truth to the world first," said Rodchenkov, the former director of Russia's anti-doping lab that oversaw drug testing at the 2014 Sochi Olympics. Writing in a New York Times op-ed piece on Friday, the Russian scientist said some of his comrades have already disappeared under mysterious circumstances. "Telling the truth is not easy, especially when there are severe consequences," he wrote. "My comrade and friend, Nikita Kamayev, the longtime director of Russia's antidoping agency found out the hard way." "He had a fatal 'heart attack' — Russia's favored way to eliminate enemies — after the Kremlin learned he was writing a book about the doping program." Rodchenkov fled to the United States with evidence of doping in late 2015. He also raised concerns in his piece that Russia may escape sanctions for doping despite overwhelming evidence in support in his claims. 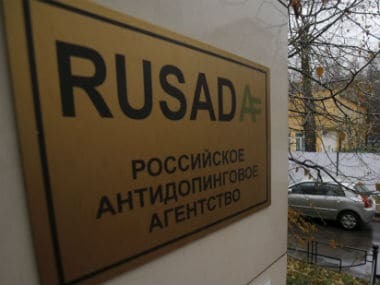 He said the International Olympic Committee and the World Anti-Doping Agency have failed to hold Russia accountable despite evidence of cheating over a wide array of sports. Russian track and field athletes were barred from the Rio Olympics last year and from the athletics World Championships in London last month. But the IOC declined to issue a blanket ban of Russia from the 2016 Rio de Janeiro Olympics. 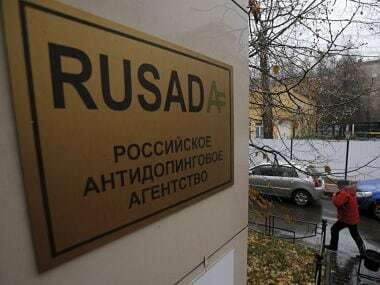 He said the agency recently cleared 95 of the first 96 athletes whose "cases of doping have been reviewed". Rodchenkov said the agency's inability to swiftly punish Russia for cheating will only "embolden" the country to repeat its transgressions. "Russia is emboldened when no one holds it to account and we have all seen the consequences," Rodchenkov said. "No one from WADA or the federations ever sought to interview me, though I was available and willing to co-operate." "Of the medals fraudulently earned by Russian athletes at the Sochi Games, not one has been withdrawn by the International Olympic Committee. The Winter Olympics begin in South Korea in February, yet it is unclear whether the IOC can finish its own investigation of Russian doing before the competition starts." He said high-ranking government officials in Russia refuse to accept responsibility. "My former boss, Vitaly Mutko, a deputy prime minister and former minister of sport, has repeatedly denied knowledge of my activities as director of the Moscow Anti-Doping Center, where I oversaw Russia's doping program with the help of several agents of the Federal Security Bureau (formerly the KGB) and many government officials," Rodchenkov wrote in the article. 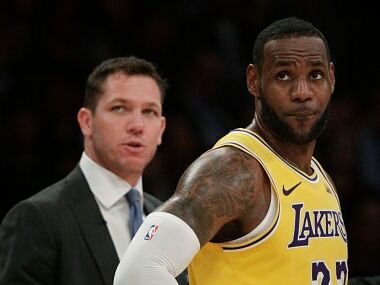 "Let me be clear, Mr Mutko knew about and was critical to the success of Russia's doping program .... This is a witch hunt, and I am the witch." Rodchenkov also apologised for his role in doping but he added both he and the athletes had no choice. "I apologize to everyone I disappointed by helping Russia cheat," he said. "When senior officials in Russia direct you to do something, you do not ask questions. I had no choice." He said the next step is for Russian officials to "accept responsibility" and turn over documents and evidence to the investigators. "Russia has been the world's pre-eminent and most organized doping violator. 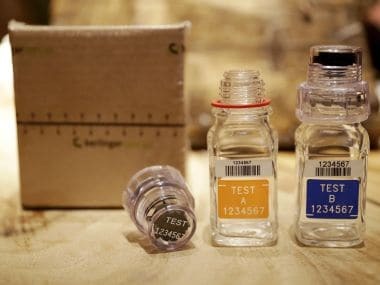 If the IOC and WADA do not enforce the anti-doping agency's own reform program for Russia, clean athletes everywhere will continue to suffer unfair defeat."